Orange and black aren’t the only colors that start popping up everywhere in October. Now with the start of Breast Cancer Awareness month, expect to see a lot of pink sprinkled in with the rest of the fall colors. To help you easily support this important cause, we’ve put together a list of some awesome products to help you think pink and show your support for raising awareness for breast cancer. So take a look, do your part and make a purchase with power! Prime for pink with one of Smashbox’s best sellers, the Photo Finish Foundation Primer. 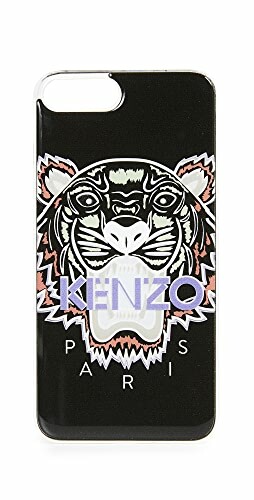 This fan favorite turns your skin into the perfect canvas for makeup application by filling pores and fine lines, creating a smooth finish on skin. For every product purchased, Smashbox will donate $5 to the Breast Cancer Research Foundation. Available for $36 at Smashbox.com and Ulta. Streekers and TouchBack BrowMarker team up to raise awareness and help the cause by donating 100% of the proceeds of these products to the National Breast Cancer Coalition. Streekers in Pink, the official color of Breast Cancer Awareness month, adds temporary color to hair for a bold pop. The TouchBack BrowMarker in Blonde offers precision and ease to women who’ve lost their brows from effects of chemotherapy, or for those in need of a bit of a fill in the brows. Streekers in Pink is available for $11.95 at Streekers.com and Ulta.com; TouchBack BrowMarker is available for $19.95 at TouchBackBrow.com and Ulta.com. For an inspirational and total beauty package, look to celebrity makeup artist Mally Roncal’s seven piece collection, The Brightest Days Are Ahead Kit. With each purchase, a donation will be made to the Fashion Footwear Charitable Foundation’s breast cancer fundraising efforts (FFCF). FFCF leads the industry’s fundraising efforts for innovative breast cancer research and provides grants to the nation’s most distinguished breast cancer research hospitals and foundations. 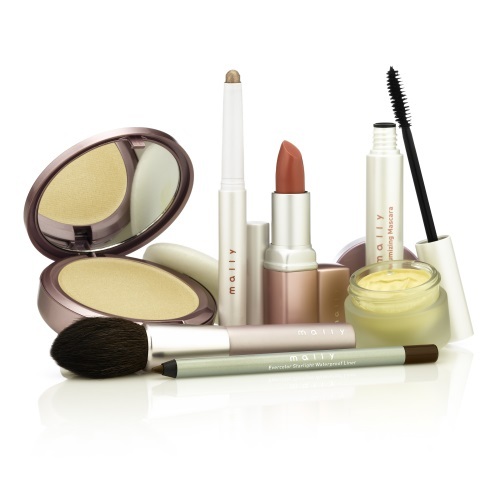 Housed in a tote with a message that reads “Your Best Days Are Ahead,” this collection contains three shade options (fair/light, medium, and tan/righ) and several beauty essentials from Mally: the Perfect Skin Illuminating Refiner with a brush and sponge, Perfect Prep Under Eye Brightener in Lighter, Luxury Lipstick in Pilar Pink, Evercolor Shadow Stick in Empowering Lilac and Evercolor Starlight Eyeliner in Fearless Brown. This limited edition kit retails for $59.98 on QVC.com for the month of October. LOFT has named breast cancer survivor and TV personality Giuliana Rancic as its first global ambassador for the “Live in Pink” movement to support The Breast Cancer Research Foundation. In addition to serving as the campaign’s ambassador, Giuliana also served as the inspiration for an exclusive jewelry collection for LOFT by Suzanna Dai, one of Giuliana’s favorite jewelry designers. This exclusive collection ranges between $39.50 and $69.50 and his available at LOFT stores and LOFT.com with 60% of the purchase price donated to The Breast Cancer Research Foundation. Help keep your skin moisturized with a bottle of freshly scented Leila Lou by Rosie Jane Body Lotion. Twenty percent of proceeds go to Susan G. Komen For the Cure, and the line also includes a slow-burning candle and two separate fragrances. Available for $29 at byrosiejane.com. Drench your lips in Too Faced Love Debbie, a high impact crystal shine lip gloss with the smell of sweet strawberries and an infusion of sunflower seed oil to moisturize your pout. Inspired by Too Faced co-founder’s Jerrod Blandino and Jeremy Johnson’s step-mom Debbi, who is currently battling breast cancer, the sale of this ballerina pink gloss will donate twenty percent of its sales to the Skillen Fund for Cancer Care at Huntington Memorial Hospital in Pasadena, California, to provide mammograms for patients. Too Faced Love Debbie available for $16 at Ulta.com. For over ten years, Ralph Lauren’s Pink Pony Fund has been a part of the fight against breast cancer. With each sale from the Pink Pony line, 25% of the purchase price of Pink Pony products benefits the Pink Pony Fund of the Polo Ralph Lauren Foundation to support programs for screening, early diagnosis, treatment, research and patient navigation. Internationally, a network of local charities benefits from the sales of Pink Pony products. From tote bags and jackets to their classic polos, there are many stylish ways you can help Ralph Lauren spread a little more pink into the world. 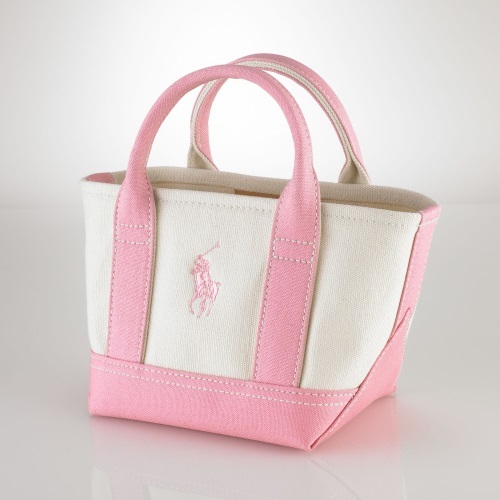 This Mini Pink Pony Tote available for $45 at ralphlauren.com. Help give someone a little more time with a watch from GUESS’s Sparkling Pink collection. 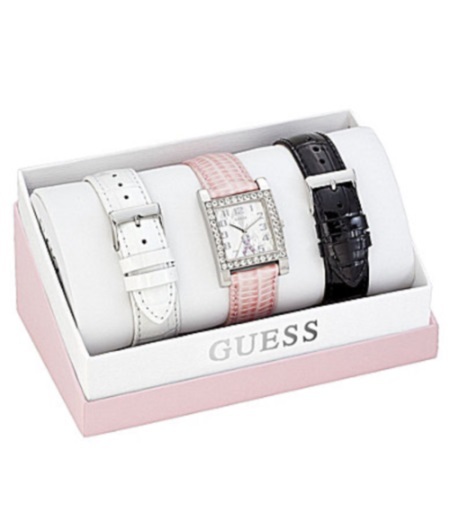 This watch set includes three interchangeable leather straps in pink, white or black with 10% of each sale going to the Susan G. Komen for the Cure foundation. 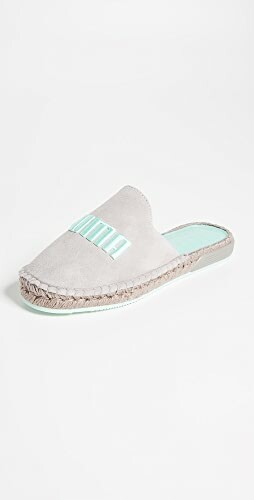 Available for $115 at macys.com. 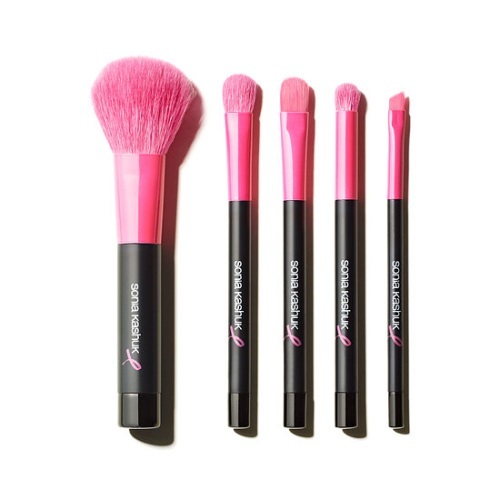 Break the monotony of the black makeup brush set with Sonia Kashuk’s Proudly Pink 5 piece brush set. These professional quality makeup set comes with a powder brush, concealer brush, eye shadow brush, crease brush and bent eye liner brush wrapped in a silver carrying case with pink lining. 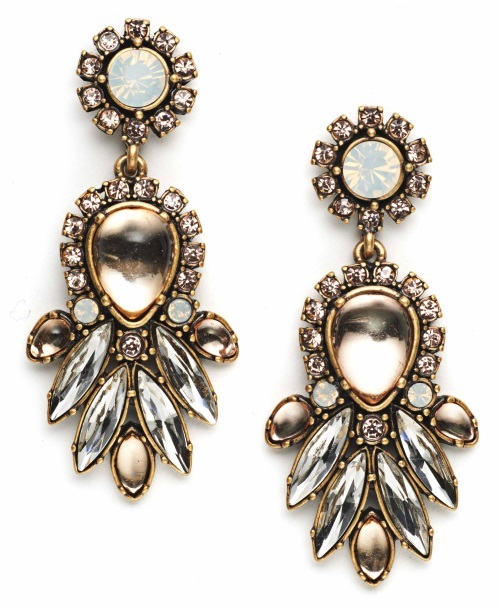 With each sale, 15% of the purchase price goes to benefit The Breast Cancer Research Foundation. Available for $16 at Target stores. In celebration of essie’s partnership with Living Beyond Breast Cancer, essie has released two pretty pink shades of nail polish. This breast cancer awareness collection will contribute to LBBC by helping provide services for women who are newly diagnosed, in active treatment or remission, along with those who are in long term recovery. With a few simple strokes of the nail brush, you can help women and their families who are affected by this disease get the help they need. 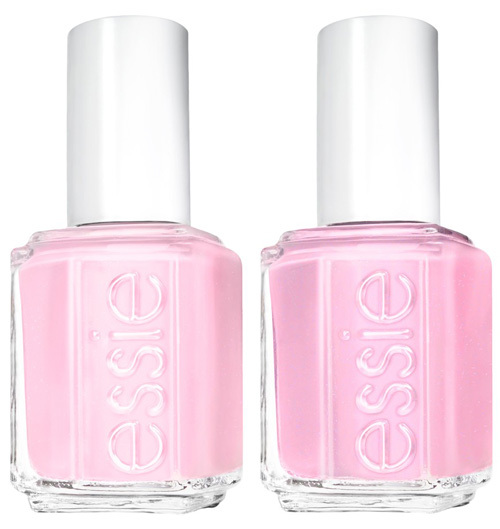 Pink About It and Pink Works are available for $8 at essie.com, salons and beauty stores nationwide. The campaign has launched a new global website accessible in over 70 countries and 15 languages that encourages visitors to create a “Circle of Strength.” Each circle enables friends, family, co-workers and loved ones to show their strength by rallying around an action – large or small – that advances us in the fight to end breast cancer. To create your own circle, visit www.BCAcampaign.com/StrongerTogether. Once you have created your own circle, you can tag your friends and family via Facebook to join your circle. Each circle then commits to completing dedicated actions focused on preventative, proactive and educational measures—simple things we all can do in our daily lives to help beat breast cancer. Commitments might include walking each day after work, cooking healthy meals, scheduling a mammogram, or pledging a donation to The Breast Cancer Research Foundation. Circle of Strength members can also upload photos directly to the site or via the hashtag #BCAstrength on Instagram and Twitter @BCAcampaign to show that the world they’re stronger together. Along with the campaign, you can also support breast cancer awareness with the Evelyn Lauder Dream Collection. 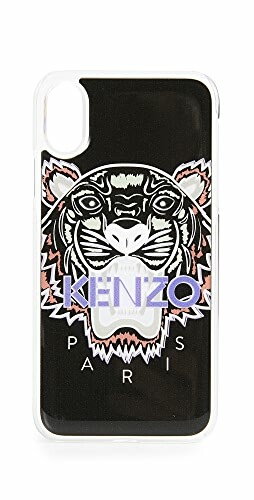 With each purchase, 100% of the retail price will be donated to the Breast Cancer Research Foundation. An elegant way to show your support is with a limited edition Pink Ribbon Pleasures Perfume Compact. 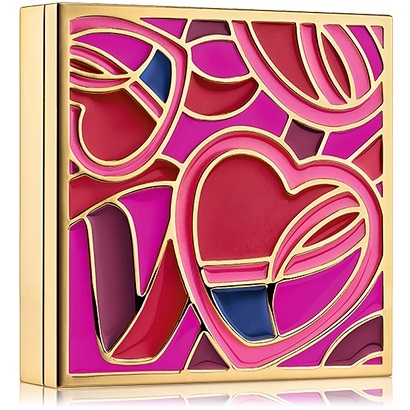 This modern metal compact is filled with Estée Lauder Pleasures in long-lasting solid perfume. 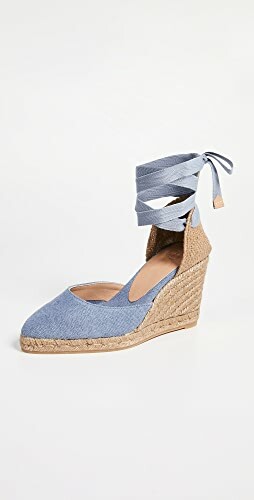 Available for $49.50 at esteelauder.com. Shop Stuart Weitzman Pumps, Blue Platform Shoes, Lace Up Dresses, Knit Turtlenecks and more. Get this widget.